It’s 2016, the days of men having to stick to your standard blacks, whites, blues, greys etc are gone. It’s the year of the pink revolution – salmons and dirty pinks are exactly what you’re wanting this season. Can we put it down to the fact that the designers have started firing out the colour recently, or just the fact that it just looks class? Regardless surely there’s nothing you’ll want more than a sweet pair of modern pink trainers on your feet. If you’re feeling nervous about what to match up a pair of pink sneaks with, then don’t be. Surprisingly, it’s a colour that goes down an absolute treat with most dark colours – pair of black jeans or navy chinos looks sweeter than sugar during those summer months with some pink trainers on. Take the adidas Gazelle for example, the style is having a real good year, and when they’re pulling out colours like the pale pink ones here who can really say no? Still not convinced on pink lads? According to styleforsuccess.com, men who wear pink shirts earn £1000 more per year than those who stick to a standard blue or white shirt. So how much more could you be earning with a pair of pink trainers on your feet? Let that sink in for a second. What about having some wearable pink art on your feet with the newest additions to the Converse x Andy Warhol collection. Your boss may as well start whipping out the cheque book now. Those of you out there who have a soft spot for the ’80s, these Vans Old Skool in black and pink take you on a nostalgic trip back to the days of Miami Vice with that pale blue side stripe. Now what makes the Stan Smith even better? 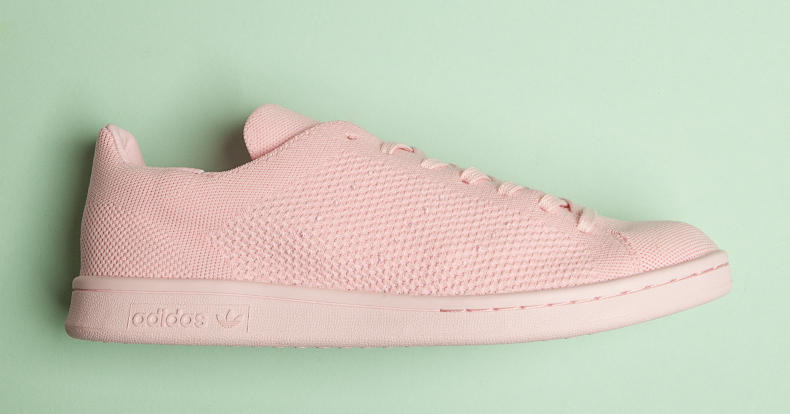 The Stan Smith coming in Primeknit and in an easy on the eye pastel pink does it. Comfort and excellent style – say no more. 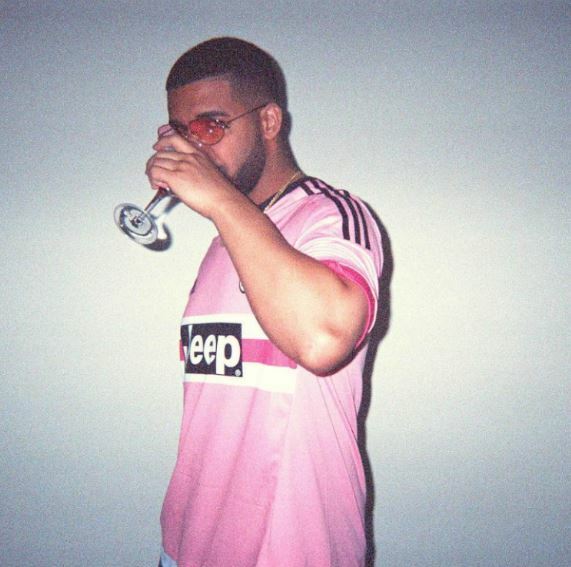 Let’s top things off with a picture of Drake wearing the absolute screamer of a pink Juventus away top. 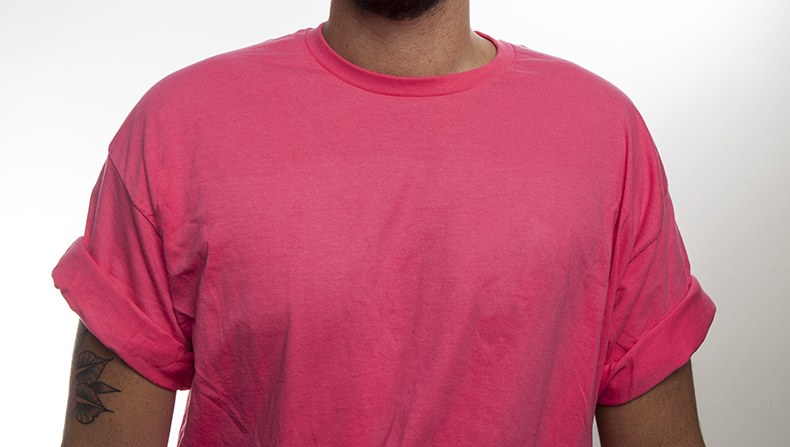 We’re telling you, real men wear pink. So we’re sure you’re all ready to pot the pink (trainers) right into your basket, so check out our men’s pink trainers right here. If we haven’t tickled your fancy then don’t worry we’ve got plenty of colours of men’s trainers to choose from. What springs to mind when we mention the name Andy Warhol? A colourful Marilyn Monroe print?